On Friday, April 27, 2018, the Innovation Law Lab filed an amicus brief with United States Attorney General Jeff Sessions, challenging his decision to reopen a settled asylum case on the grounds that his anti-immigrant and anti-asylum conduct disqualify him from exercising his authority to refer and review immigration cases. The case at hand, known as the Matter of A-B- (initials are used to protect the asylee’s privacy), involves a domestic violence victim who fled to the United States after she was unable to obtain protection in her own country. Details on the case were initially kept secret by the Justice Department, but later made public by the attorneys who represented her. It was also later learned that Sessions selected this case for consideration in spite of objections from the Department of Homeland Security (DHS). Sessions’ decision to refer individual immigration cases to himself for review is an overstep of his authority and can adversely affect the outcome of future asylum cases. By overturning past decisions of the Board of Immigration Appeals (BIA), Sessions can, in effect, rewrite asylum and immigration policy. The Innovation Law Lab was represented by Nadia Dahab of Stoll Berne, a Portland-based law firm. 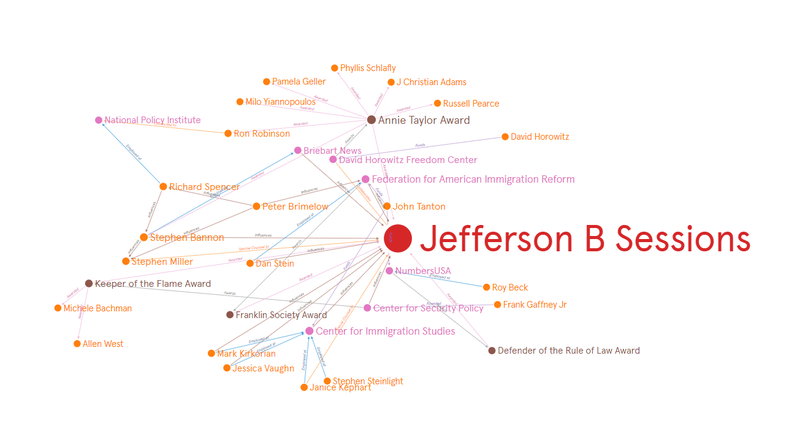 The amicus brief prepared by Nadia and her team draws from research from the Southern Poverty Law Center, particularly, the Extremist Files and Hatewatch, to cogently analyze and map the Attorney General’s connections to white nationalist and anti-immigrant organizations. The brief argues that insofar as the Immigration and Nationality Act (INA) requires the Attorney General to fairly and impartially administer immigration laws and the Attorney General and his staff promote racist and white nationalist viewpoints, the Attorney General has prejudged the issues presented in the Matter of A-B- and, therefore, cannot be an impartial judge where immigration and asylum law is concerned. The Innovation Law Lab joined several other legal and advocacy organizations in voicing concerns over Sessions’ decision to reevaluate the Matter of A-B-. Other organizations that also submitted amicus briefs include the National Immigrant Justice Center (NIJC), Catholic Legal Immigration Network, Inc (CLINIC), the Tahirih Justice Center, and the American Bar Association (ABA). Please direct all inquiries to Victoria Bejarano Muirhead at victoria@innovationlawlab.org. This entry was posted in General, blog, Uncategorized. Bookmark the permalink.